Sony and Microsoft have both announced the slate of September 2018 free games that will be available to subscribing PlayStation Plus and Xbox Live Gold members. PlayStation Plus members will receive Destiny 2. As a special treat, the game is available on PS Plus today — a week early — so that you can take advantage of the 24-hour free trial of Destiny 2: Forsaken’s new hybrid PVE & PVP mode, Gambit, which stars September 1 at 10:00 a.m. PDT. 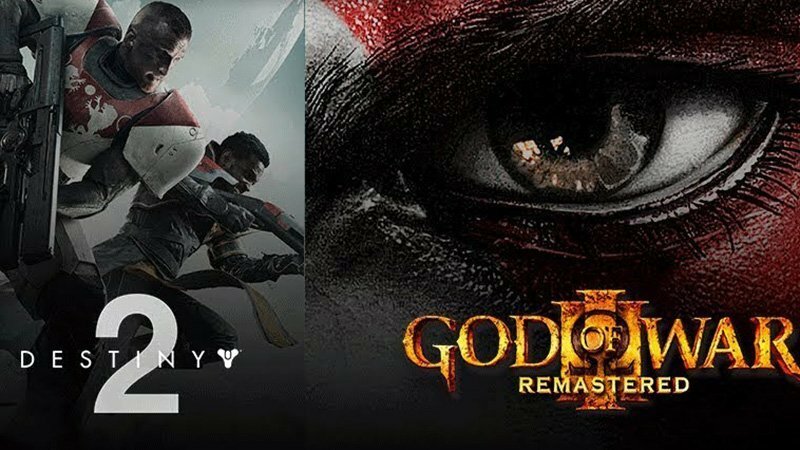 Also this month, PS Plus members will receive God of War III Remastered, which will be available to download beginning on September 4. The PlayStation Plus lineup also includes Another World – 20th Anniversary and QUBE Director’s Cut for the PlayStation 3, as well as Sparkle 2 and Foul Play for the PS Vita. The first-person horror game Here They Lie for PlayStation VR is available for PS Plus members through October 2. Knowledge is Power, a PlayLink title, is available through November 6. You can subscribe to PlayStation Plus via this link. Xbox Live Gold members will receive four new free games — two on Xbox One and two on Xbox 360 — as part of the Games with Gold program. On Xbox One, Xbox Live Gold members can download Prison Architect: Xbox One Edition for free during the month of September. Livelock will be available as a free download from September 16 to October 15. On Xbox 360, starting September 1st, LEGO Star Wars III: The Clone Wars will be free for Xbox Live Gold members through September 15. Then on September 16, Xbox Live Gold members can download Sega Vintage Collection: Monster World for free through September 30. You can subscribe to Xbox Live Gold via this link. The post September 2018 Free Games for PlayStation Plus and Xbox Live Gold appeared first on ComingSoon.net.